There are a number of features we find present in most log cabins we explore, simply because they are the things we love the most about the rustic, outdoors lifestyle. One of these key features is great natural light. We don't want dark and dingy interiors; we want sun-soaked living rooms which are light, bright, and offer views of the natural surroundings. 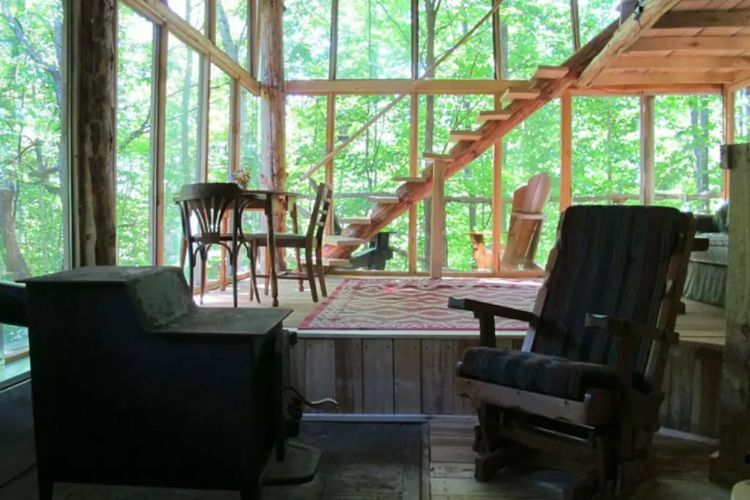 This cabin is listed on Airbnb for vacation rental purposes and boasts some of the best natural light we have ever seen. 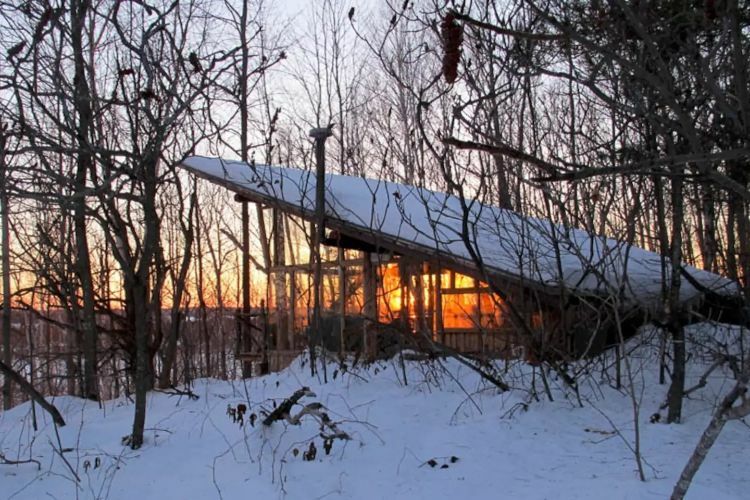 Located on a sharp escarpment in Plantagenet, Ontario, the home has panoramic views of the woods from three walls of glass which truly make the indoors feel like the outdoors. 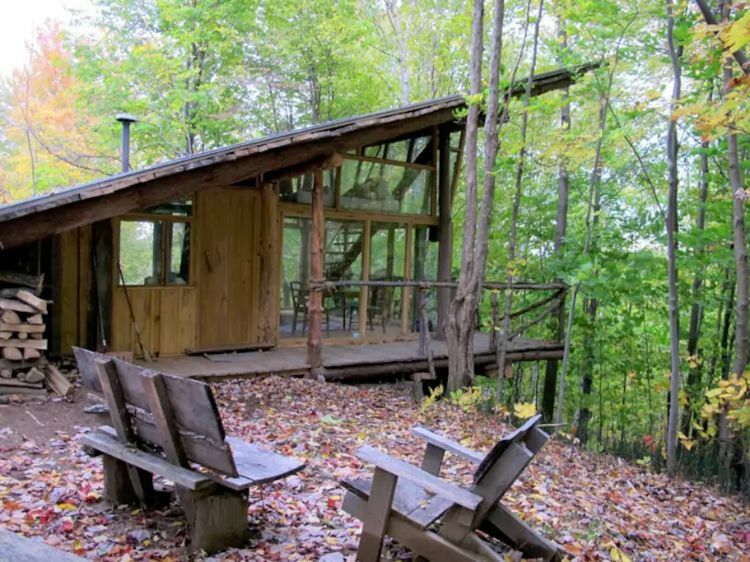 As we approach the cabin, you can see how the simple structure of wood and glass creates a cabin like no other. 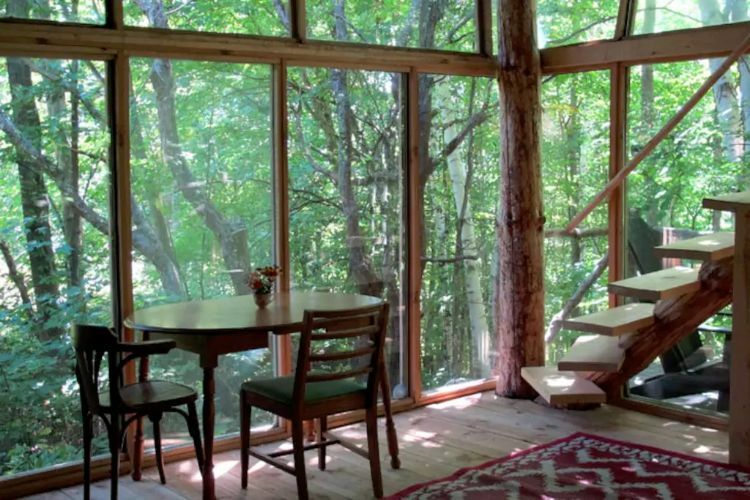 Inside the cabin, the three walls of windows make you feel like you are always in the forest. The light from these floor-to-ceiling walls of glass is outstanding, no matter what time of day it is. 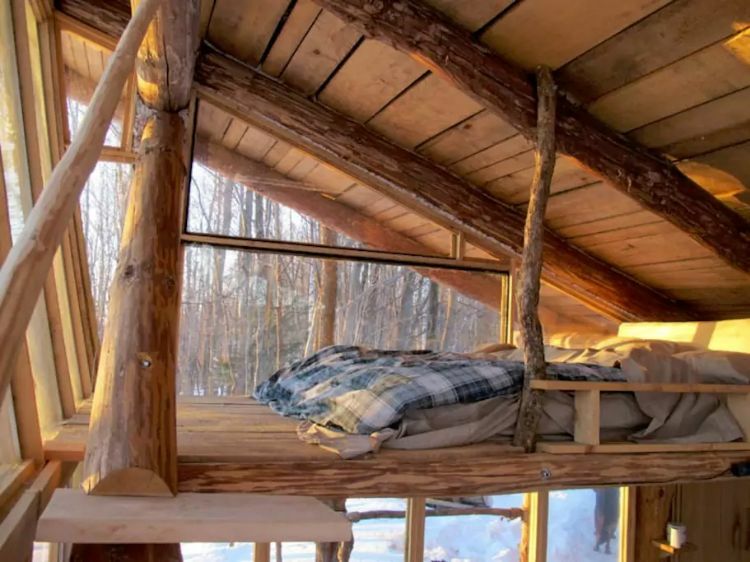 This quaint cabin covers just 380 square feet (35.3 square meters), with plenty of sitting options and a sleeping loft. 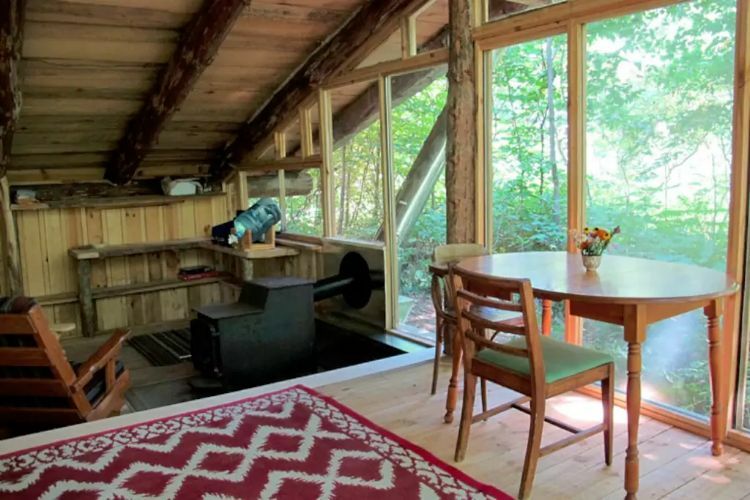 The cabin is heated by a wood-burning stove, which easily combats the cold from the windows. 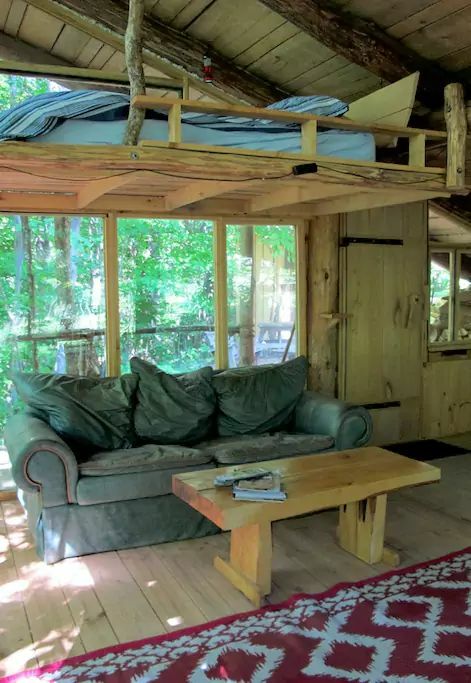 With comfortable furniture, it is a great place to return to after a long and satisfying hike in the woods. 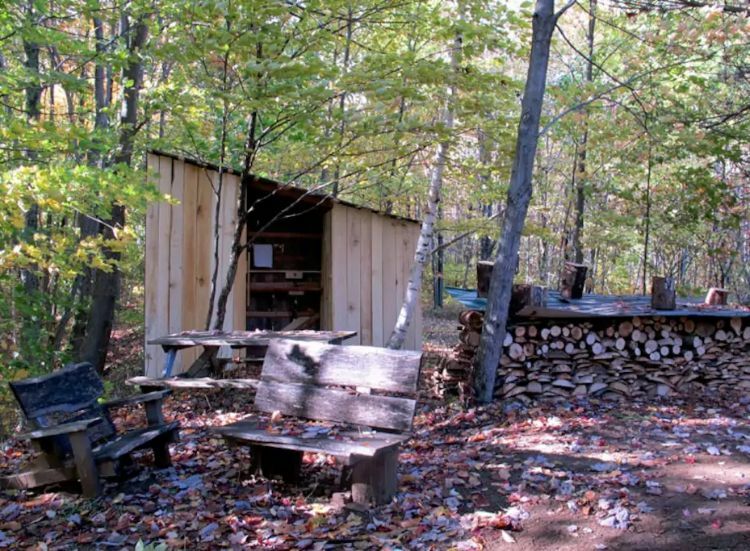 The cabin has a few simple items for cooking, including a propane stove. Despite the cozy floor plan, the minimalist design means the interior feels spacious and roomy. A comfortable sofa with a coffee table sits below the sleeping loft. Keeping with the minimalist theme, the sleeping loft is decorated with a simple mattress. Imagine waking up with the natural light and looking out over the surrounding woodlands. Gorgeous! 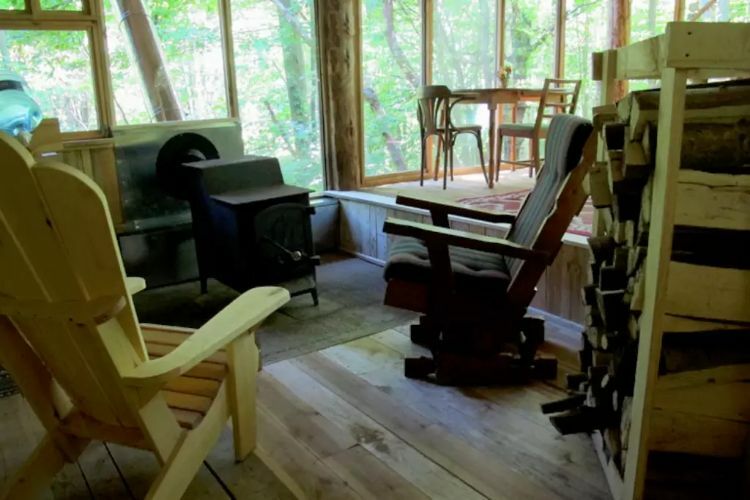 The cabin has numerous cozy sitting spaces within, but also, there are plenty of comfortable seating options outside too. 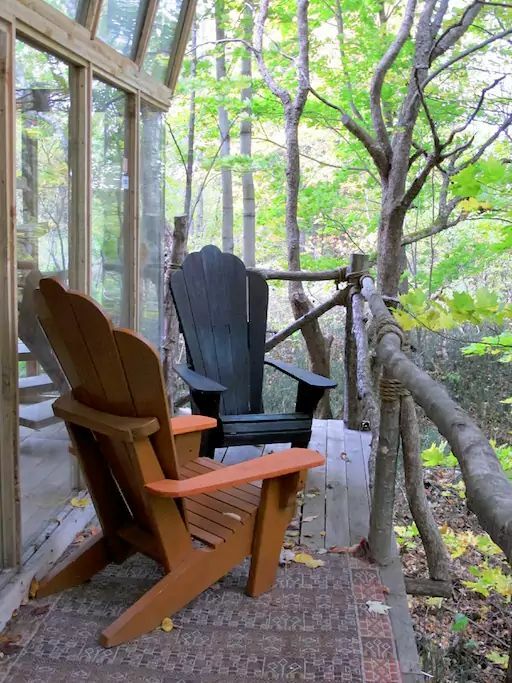 The porch which runs down the side of the house is great for enjoying the fresh air of the forest. 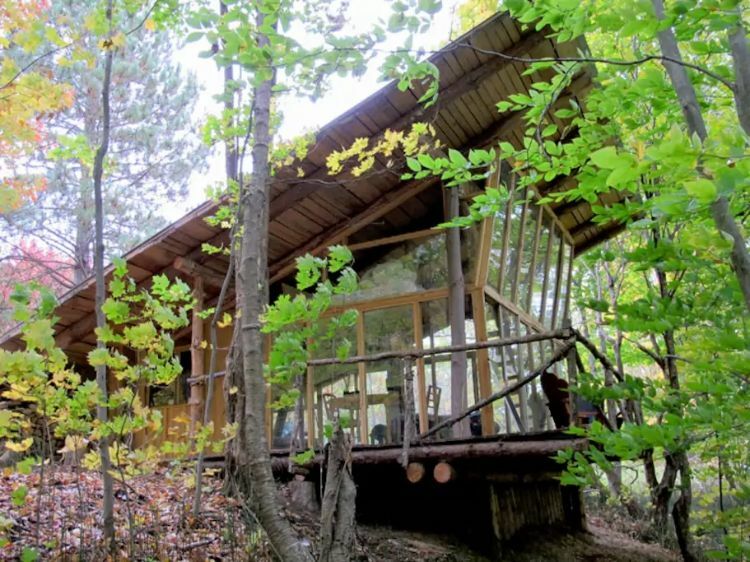 The cabin is served by an outhouse which has a hot shower and modern toilet. 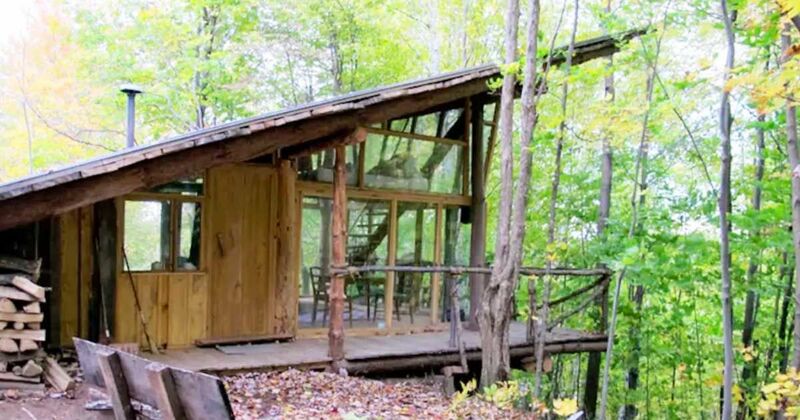 Now this is a cabin like no other, capturing the best of the natural light.